This photo is from my last trip to Hawaii. Everything was challenging about this photo, from the location, the weather and the processing. 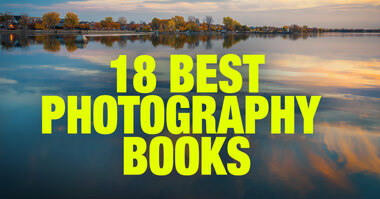 All in all, it took three days and 12 shots to produce the final image. 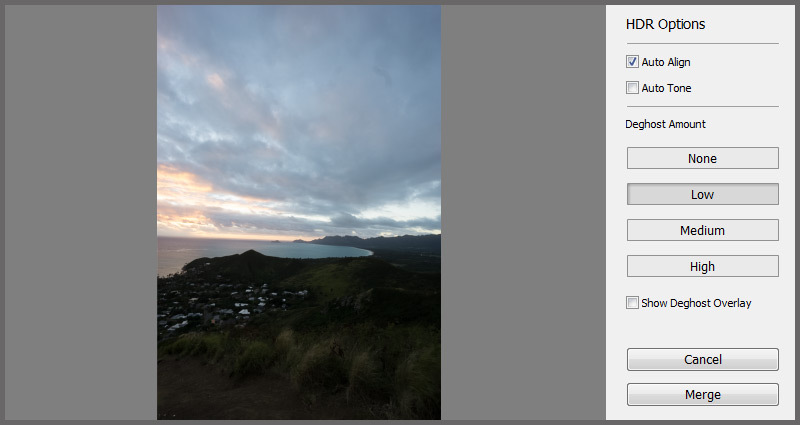 I read about the Lanikai Pillbox Trail while preparing for my first visit to Hawaii, and it was high on my list of the locations I wanted to photograph. 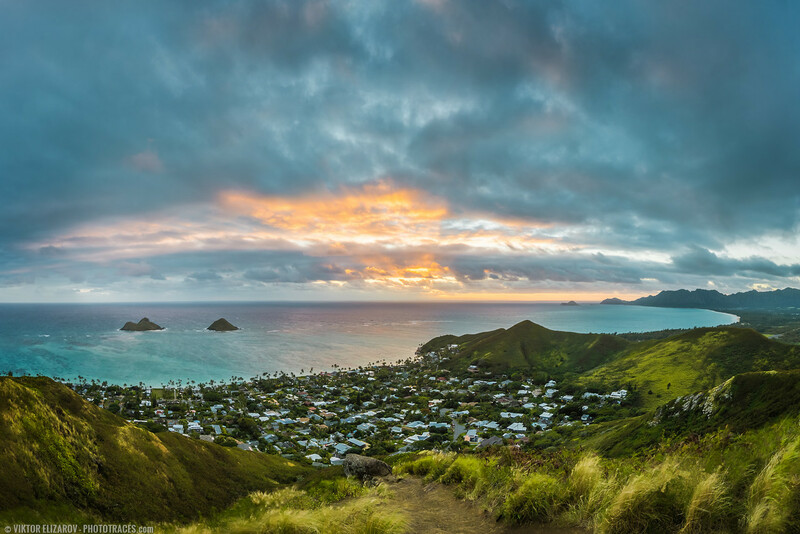 It is located on the eastern shore of O’ahu Island, facing the ocean and is one of the best spots for photographing sunrises on the island. First, I checked the location in the middle of the day to identify a few spots from where I wanted to shoot. I also recognized that the scene was too wide and, even with 10mm lens, it would not be possible to include two islands on the left and the sandy bay on the right side into one composition. This is when I decided to use the panoramic technique. The next day my persistence was rewarded with a beautiful sunrise. I shot 4 series of bracketed shots (see image below) with 3 shots in each series (-2EV, 0EV, +2EV). I used L-bracket plate to mount the Sony a6000 camera to my FEISOL Tournament tripod vertically. 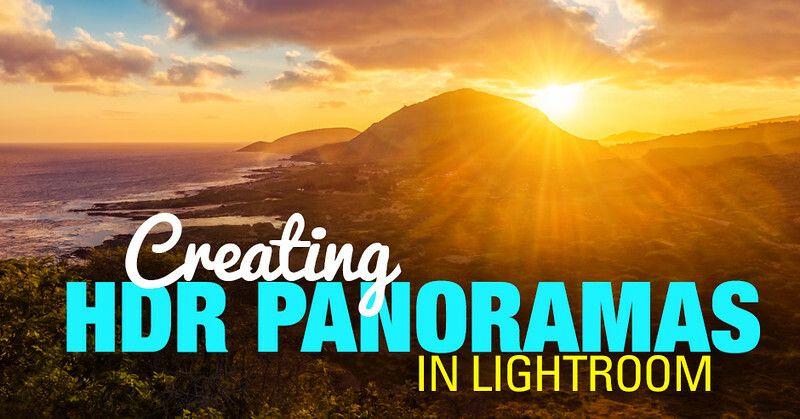 I merged 4 series of bracketed shots, producing 4 HDR images in DNG format. I used HDR Merge module of Lightroom. 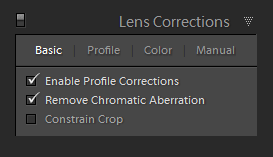 I outlined the technique in the following tutorial: Lightroom HDR – Natural Looking HDR In Lightroom. In step two, I used the Panorama Merge tool in Lightroom to stitch 4 HDR images into a panorama. Check the screenshot for the settings. I used the Crop Tool in Lightroom to produce a balanced composition with 3×2 aspect ratio. The last step in Lightroom was to use Rapid Editing System for Landscapes to create an interesting LOOK. I used Point Lobos preset from Lightroom Preset Collection first and later added some TOOLKIT adjustments. 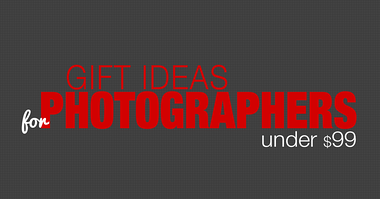 The first step of Photoshop editing was to fill up the gaps in the corners of the image. I used the Spot Healing Brush Tool and painted over the empty areas. Photoshop did the rest by filling empty areas with the right texture. I finished processing in Photoshop (cleaning, color correction, contrast). Topaz DeNoise was used to reduce digital noise (ocean, sky). Topaz Clarity was used to enhance details and boost colors (mountains). 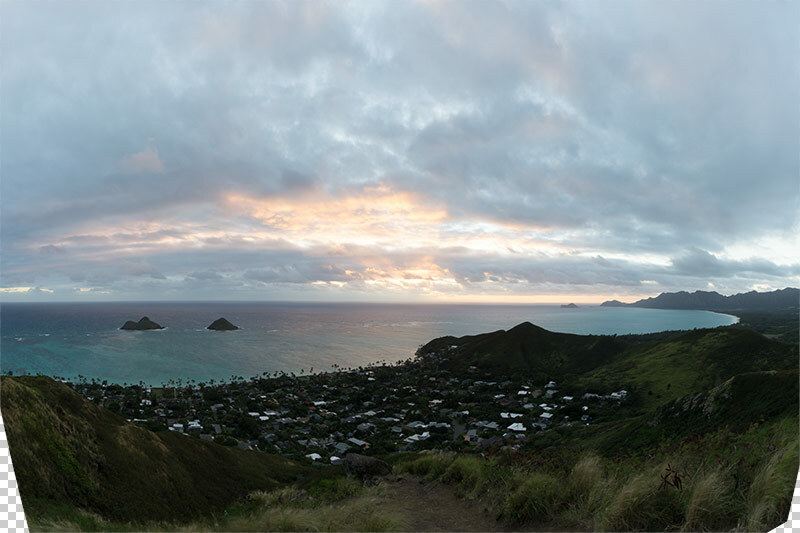 I live in Lanikai and know the trail well, really nice photo and worth the effort. Thanks for sharing. I envy you. Lanikai is one of the most beautiful places I’ve ever visited. Do you use a mounting plate that takes into account the nodal point of the lens? Some recommend it and some do not. I shoot with out one, and have been curious to see a side by side comparison. Christopher, I do not do panoramas very often so can not justify carrying extra piece of equipment. 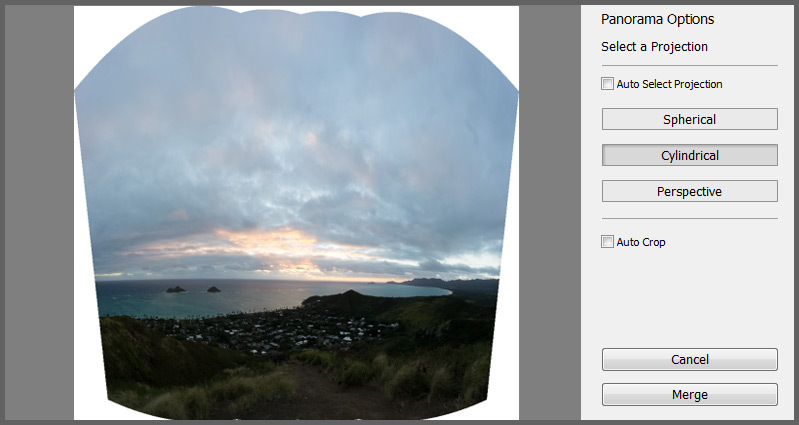 Plus without nodal point plate I pretty much can achieve seamless panoramas. Great step-by-step article. Thank you!